It's not a bad thing when a film decides to "expand upon" characters or events not found in the original source material; in fact, it has the potential to make an exceptional story for two reasons: first, there are always particular features of a medium of art (books tell their story differently than a painting, there are things you can do in music that you cannot do in poetry, you can do something in a play that absolutely will not work in a film, but what you can do in a film won't work in a novel, etc.). When the artists--in this case, the film makers--have examined the book and have gone to "translate" that story of Bilbo Baggins (Martin Freeman) to the screen, they have understood the virtues of film making sufficiently to harnass those strengths and employ them to DEEPEN the story, not expand it, which leads us to our second point: depth. This poster is insanely cool! Are not the eyes the "windows of the soul?" As a dragon, Smaug symbolizes the devil, so Smaug sees what he will never be in Bilbo. According to the book and film, Gandalf knows Smaug is famliar with the scent of dwarf, but he believes the scent of a hobbit will throw him off and it does. Why? Because they are "halflings," hobbits very much symbolize the "child-like" within each of us. In the trailer above, at 2:20, the dwarf says, "It never ceases to amaze me, the courage of hobbits," and why is that? The child-like faith Christ commanded all of us to have (remember, JRR Tolkien was a devout Catholic) is the spring board of courage: if we have faith that we will get help, if we have faith that good will be born of the present situation, that we can achieve something, THEN we can have courage and do what needs to be done; if we don't see that any good will come of our actions, we don't have courage, we despair, and that is the quicksand of cowardice,... we should remember this because it's very possible these differences will be brought out in the film amongst the different characters. Bilbo has the faith of a child, he believes that good will ultimately come of everything (he wants to go back to his home so desperately, he wants to help the dwarfs reclaim their home because Bilbo knows how important it is to have a home) and this is such a great act of charity: the good I have (in this case, a home) I want someone else to have, too. This child-like faith and charity is THE reason why Bilbo Baggins and only Bilbo Baggins can go up against Smaug: because Bilbo has all ready defeated his "first dragon," the creature Gollum, which is actually a part of Bilbo (the way Bilbo could have treated the dwarfs when they were in his house eating all his food, for example) but Bilbo didn't do that. We'll continue this discussion in the next caption below. This isn't just art, it's philosophy, it's life itself, when film makers can take a story and give us EVEN MORE of a character--still consistent with the original character laid out, mind you!--and increase the audience bond with them and the whole story rather than just aim for something entertaining. What is being mined in depth (forgive the pun on the dwarfs' behalf) is that of Thorin Oakenshield's destiny, the prophecy of what he is to do and the doom that will bring about,.... the thing is, prophecy is a tricky old beast in and of itself, because the very one trying to stop Thorin from fulfilling his destiny is Bard (Luke Evans) and HERE is a beautiful aspect of the story JRR Tolkien doesn't enter into the way the film is: unless Thorin fulfills his destiny, Bard will not be able to fulfill his. From the ashes comes new life, and that is what Bard neglects to see but what we have all ready seen in another great film this year, Percy Jackson and the Olympians: Sea Of Monsters. At 1:34 in the trailer above, Thorin tells Bilbo that the Arkenstone (which we saw at the beginning of The Hobbit An Unexpected Journey) is to Thorin what the Ring is to Bilbo: the singular price of the soul reclaimed from sin. Each of us has a great Gift from God, which is our own unique destiny; in art, the intangible matter of destiny is usually represented by a tangible object so it is clearer to the audience what is at stake. Whereas the Ring makes Bilbo disappear, the Arkenstone will make Thorin "appear" (he will finally be the dwarf king he was born to be in reclaiming that stone from the dragon). Here's the problem though: Thorin isn't hobbit-like. Only a hobbit can defeat the dragon, just as only a woman could defeat the Witch King in The Lord Of the Rings: Return Of the King. Thorin, in demoting Bilbo continuously throughout their journey, PROVES that he is unworthy to be king whereas the trouble Thorin causes Bilbo actually strengthens Bilbo in his heart to overcome both Gollum and Smaug because that is the kind of strength needed to kill a dragon, love. Now, does Thorin have free will, or is he bound by prophecy and destiny (which is also the question in Percy Jackson: Sea Of Monsters)? Thorin, like all people, has free will, but he also has a destiny; prophecy, defined, is "deep wisdom," and wisdom is directly proportionate to love, so the more love a person has, the wiser they are, and a wise person is known by how much they love. God creates each of us with the gift of free will, and part of our destiny is the exercising of that free will--so we can choose to do or not do as we want--even though God all ready knows everything we are going to do, we are still free to do it. Thorin wants to be king, but he isn't all ready a king within his soul so he cannot become king in reality and this is because of the day-to-day decisions Thorin makes which erodes his virtue and strengthens Smaug's hold on "Thorin's throne" he wants to reclaim to the point that Thorin cannot overcome it. (More on Thorin below under the caption with the White Orc). ﻿﻿The question of destiny and free will (or, if there is destiny, how can there be free will, or if we have free will, how can anything be destined?) is one that deeply troubles philosophers, unless you are Catholic and then you have an answer all ready (please see above) but I digress: the point is, Bard wants to "head off" the possible doom Thorin returning to his homeland will bring to civilization, in other words, Bard is afraid of the suffering that will arise, but because of what Bard will do (and, granted, we won't really know until we see the film, but given the expanded role he has been invested with, we can assume he will accomplish AT LEAST AS MUCH in the film as he does in the book) so, to make a long explanation even longer, the film is justifying SUFFERING. The damage that is going to be unleashed when Thorin goes into the mountain, is going to bring ruin, but that ruin and suffering is going to bring far greater good than if it didn't happen; why? 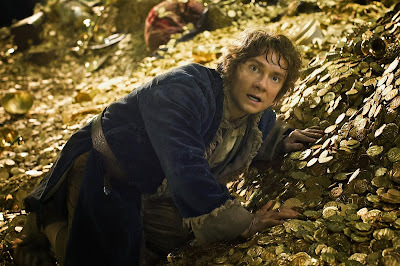 Well, actually, it's not Bilbo who kills the dragon, but it is Bilbo who frees the treasure. We have all ready discussed this image extensively but we should refresh our memories. Bilbo wears a blue jacket in this scene because blue is the color of both depression/sadness and wisdom: in our journey of life, we encounter many things that bring us sadness, but it's that very sadness that brings us the tranquility of wsdom which is the greatest treasure there is. Bilbo, being upon this massive heap of gold, is tangibly holding his own destiny, the very riches of his own soul because he has been purified and passed through the misery of the desolation of the journey; but it's not his, Smaug, the devil, still "dominates"it and Bilbo is given a sense of how rich the treasure is so he will know it's worth fighting for. Now, the truth is, not all dragons are alike because not all sin is alike, and each of us has within ourselves the gifts we require to overcome the specific sin within ourselves but it's God's Grace (God's Own Life Force and Love) that directs our gifts so it is directs us towards eternal life, not self-destruction and eternal damnation. Bilbo and Bilbo alone has the qualities and gifts necessary for battling Smaug within the treasure room of the dwarf kingdom; Bard is another story and we won't be able to comment upon him until we see the film. Thorin, however, does not have ANY of the skills/gifts required to defeat the dragon and that is why, ultimately, before he even started out on the trip, he was not worthy to hold the Arkenstone: IF Thorin had been refined like gold--instead of becoming bitter and proud--the Arkenstone would show us how rich Thorin's soul is, how uniquely individual he is (rather likehow beautiful the devil was before he rebelled and was cast into hell) just like we see the richness of Bilbo's soul above (it doesn't matter that he doesn't keep any of that gold, that gold isn't important, again, it's just a tangible symbol so we understand what we can't see within Bilbo's heart). So, the point of Thorin losing the Arkenstone is to try and make US in the audience realize how much greater the worth of our soul is and make us not want to lose that as Thorin loses the Arkenstone. "It is, most certainly, a trap," Gandalf tells Radagast the Brown in earlier trailers we have seen; then why on earth walk into it? This is a classic example, dear friends and readers, when FILM CHALLENGES US: either we can sit back and say how stupid they are for walking into a trap, OR we can look within ourselves and try to erect that bridge of understanding that film makers have carefully constructed for our enlightenment. Gandalf walks into a trap because he knows they are stronger than any evil that will come against them and they have become strong by facing evil, not sitting at home, rather, fighting the good fight. Bilbo has a destiny, but Gandalf's destiny is far, far greater, and this corresponds to the Scripture where Jesus tells us that some vessels are earthenware and some vessels are gold: we all have a journey, but depending upon what type of vessel we are, how much of His Grace God has pre-determined He wants to pour into our souls, determines the types of trials, their length and severity. It's important that Smaug is a fire-breathing dragon because fire can symbolize the fire of damnation or the fire of purgation: those who are strong like gold survive and are purified in fire, but those who are eaten up with sin and made weak by vice are shriveled up and die; Gandalf passes through that fire in The Lord Of the Rings to become Gandalf the White, so this journey is just one of many for the wizard, whereas for Bilbo, it's his life's high-point (even though, once virtue has been secured, it must be protected and exercised). Just as the Arkenstone is to Thorin what the Ring is to Bilbo, so the White Orc is to Thorin what Gollum is to Bilbo: a representation of the "little sins" that either weaken or strengthen against the devil. In Thorin's case, he rules and treats the others the way the White Orc treats his subjects, and when we look at the White Orc, we are basically seeing Thorin's "dark side": as we know, a corpse turns white when it is decaying so it symbolizes a soul "in decay" because that soul is not animated by the virtues of faith, purity, innocence. The left arm missing was cut off by Thorin, so that symbolizes a weakness the White Orc has over Thorin, Thorin was able to humble himself in the initial fight against the White Orc to take up the oak stump and fight on regardless of the odds,.... but that virtue wears thin for Thorin and, because he never replenishes his virtue by doing little things that matter most, Thorin slowly kills his own soul. The devil shows us himself living in us: our bad habits, our sins, our weakness. If we didn't fight battles like the battles being fought in The Hobbit, we would lose our soul to the devil and that's really all there is to it. By rising up and fighting, in essence, revolting against the devil--the exact opposite of the revolt of Adam and Eve against God in the Garden of Eden when they ate the forbidden fruit--by revolting against the devil, we get back into God's good Grace, a bit at a time, more surely each time, but it's a constant battle, and the greater a person's destiny, the deeper the wisdom God wants to impart to them--like Gandalf--the more and harder are the battles they have to fight. 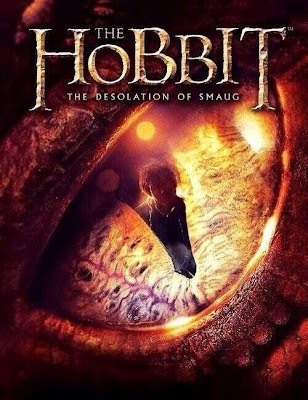 This is it for NOW on The Hobbit, but we will review the book and the first installment of the film before the second film comes out December 13. "Odalisque" by Henri Matisee, 1921, one of 1,500 paintings found in an apartment house--behind "mountains of rotting food"--in Germany, November 4. 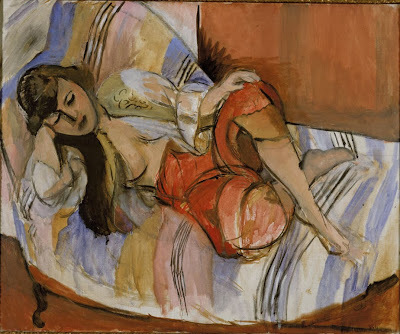 This Matisse is one of 139 which museum authorities have identified as belonging to Jewish families before World War II which was forcibly taken from them by the Nazis. The leading Nazi art historian, Hildebrand Gurlitt, was supposed to either destroy degenerate works of art and sell other works abroad to fund the German war machine; according to authorities investigating the matter, Gurlitt hid many of the works he was to destroy then claimed they were lost in the bombing of Dresden during WWII. Without a doubt, this is something we--and others--will be taking with us into the film Monuments Men (George Clooney, Matt Damon) next year (it was supposed to open Dec 25 but they claim the special effects are not going to be ready in time so they moved it to a March opening). 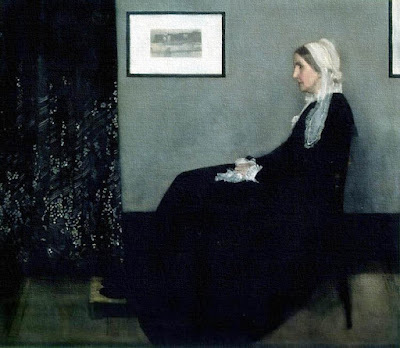 There are likely works in this trove which can literally re-write aspects of the history of art; that might not seem like a big deal to most people--who cares, right? 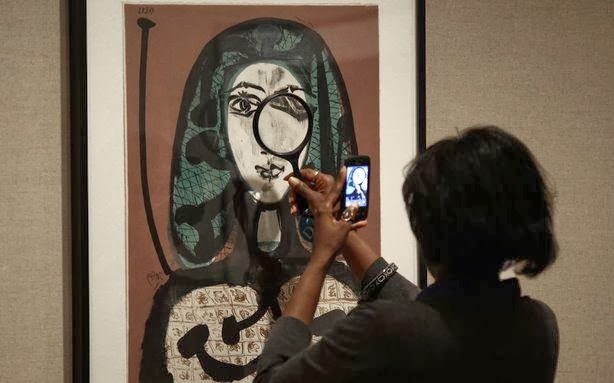 But the history of art is very much the history of culture's consciousness, it's self-awareness, especially given that most of these works were going to be thrown away by the Nazi regime because they were deemed "degenerate," which will not only effect art, but shed even more light onto how the Nazis were operating and fundamentally altering society in Germany which contributed to World War II and shaped the modern world. You can read the entire article at this link. One of the pieces being documented, I am pretty sure it's a Picasso. Thor the Dark World is AWESOME!! !